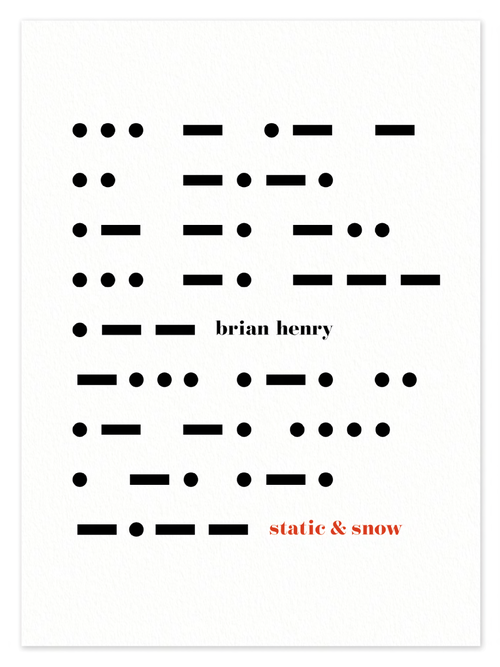 Static & Snow by Brian Henry (Black Ocean, 2015) is a winter jaunt, a snowstorm wait-out, a look through the frigid and the sparkling. 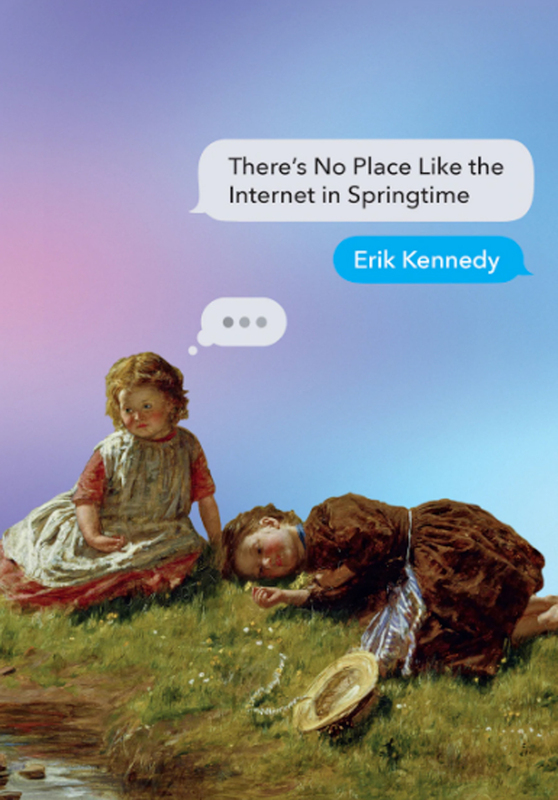 It’s as overtly playful in its language and topics as it is pensive, reflective, earnestly introverted. It may be your first foray into Henry’s wide scythe-full of styles and lyrical arrangements, but this short book is a strong representation of the author’s many capabilities as poet, thinker, and human. of, no horse to ride. With the winter season of 2015-2016 rapidly moving outward and away, it’s hard to write about a book that’s so covered in frozen fields and snow-clumped forests, icy sidewalks and visible exhales. It would be a challenge to recommend a read through Static & Snow in any time other than the coldest. The book is a phantasmagoria of chilly imagery featuring speakers who are found mysteriously responding to even more mysterious wintry situations. Encounters with these scenes are brief and dimly lit, but exquisitely arousing, in the same way the minimal amount of sunlight, comfort, and answers in the winter season is arousing. at the branch in my face. Am served a sodden song. There are no eyes for this. Despite what I expected to find within the pages, this volume is not so much a book about death as it is a book about challenge and difficulty through transport and seasonal transition: where we put our feet when treacherous landscapes surround us; how we manage our time when the climate and the patterns of weather demand us to be still, burrowed, isolated. An energy sits within these pages. Henry brings forward over and over spaces of action and activity, movement in a world demanding the counter, demanding stillness. The poems within Static & Snow follow various arcs and routes from start to finish. 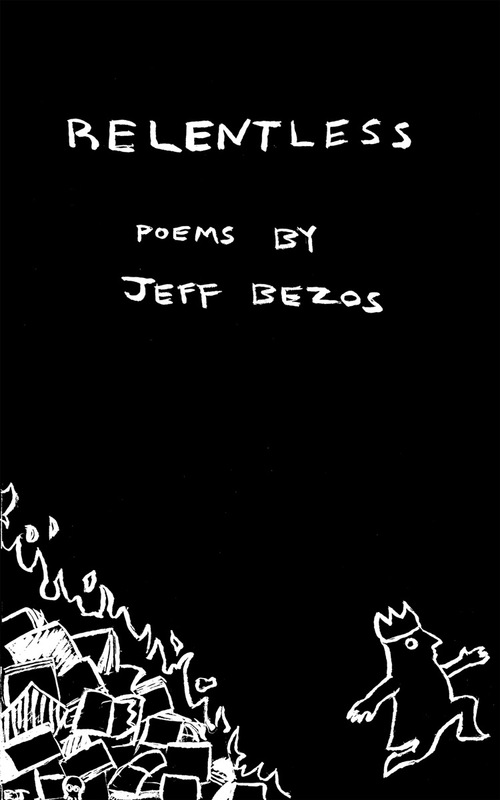 In some cases, we have traditionally singular poems affording a haunting absence, a dismal minimalism of space and time. Within the short and the brief, Henry’s speakers experience moments of crises, astonishment, epiphany, and yet the tone behind the words is often at conflict with the duration of the poem. More questions are asked than answered; a lack of content affords for more confusion and a lack of resolution, but a thoroughness presents itself through the temporary. This philosophical approach, this choice in aesthetics, can be viewed in Henry’s other works as well. It’s a signature Henry knows well and arguably one of many strengths for a poet who appears to love provocation, entrancing the recipient of the speaker with cause, effect, and the greater, resulting questions. in that string of song. Beyond its headiness, Henry’s book is also joy to read. The sonic qualities inspire an oral reading of the poems therein, which appears like a rarer and rarer effect from literature in the growing 21st century. From slow and quick rhythms to barrages of assonance and consonance, much within these poems exist as active viscerally as they are active mentally. Static & Snow is as much a crashing through the surface of the frozen pond of the mind as it is a pelt in the back of the neck with an ice ball. Poets and believers of poetry deserve both types of experiences. 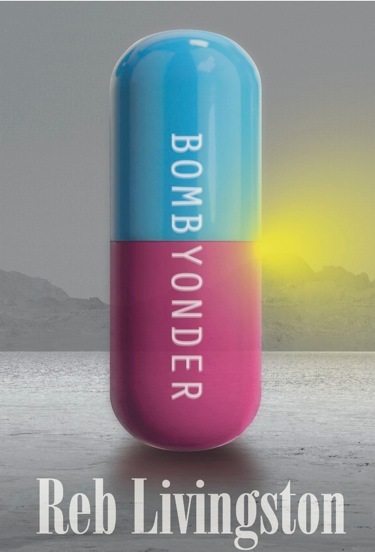 Learn more and/or order this book from Black Ocean.